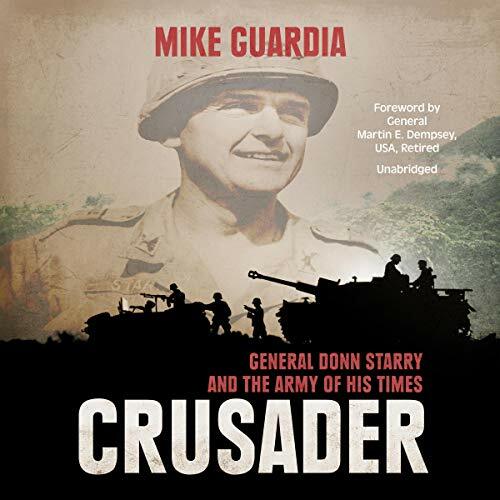 Although he missed combat in World War II and Korea, Donn Starry became one of the most influential commanders of the Vietnam War and after Vietnam was one of the "intellectual giants" who reshaped the US Army and its doctrines. Throughout his career he worked to improve training, leadership, and conditions for the men who served under him. Starry was a leading advocate for tank warfare in Vietnam, and his recommendations helped shape the contours for American armor in Southeast Asia - and paved the way for his success as commander of the 11th Armored Cavalry during the invasion of Cambodia. When commander of Fort Knox and the Armor Center and School in the 1970s, Starry redeveloped armor tactics and doctrine and improved training. In his 16 months as commander of V Corps, he thoroughly tested the doctrine of Active Defense, then used his observations to create a new doctrine, AirLand Battle, which paved the way for overwhelming victory in the Gulf War. Like most battlefield commanders from the Vietnam era, Starry's legacy is often overshadowed by the controversy of the war itself and the turmoil of the immediate postwar Army. However, with the invasion of Cambodia and the development of AirLand Battle, it is hard to imagine anyone who has had a greater impact on modern maneuver warfare.